Israeli startup Lightbits Labs has launched storage software to run NVMe over TCP with optional hardware acceleration. Everyone's all like 'stick it in the cloud!' What of the mad lads pushing data closer to compute? The system is said to support scale-out shared external block access storage at latencies similar to direct-attached SSDs. The outfit also let world+dog know that it inhaled $50m in funding from Dell EMC, Cisco and Micron; VCs SquarePeg Capital and Walden International; and from chairman/co-founder Avigdor Willenz. Willenz has form in data centre startups, having sold sold LAN-switch chip-flinger Galileo Tech to Marvell Semiconductor for $2.7bn back in 2000 and led chipmaker Annapurna Labs, later sold to Amazon's cloud computing unit for $350m in 2015. The Lightbits B-round closed in December last year. The LightBox can be fitted with an optional LightField acceleration card to speed LightOS and provide data reduction, data protection, NVMe/TCP and global FTL acceleration. 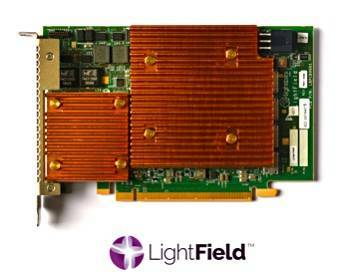 LightField provides 200Gbit/s line rate compression and decompression. LightOS and LightField can also be installed on a customer's own servers. The LightOS can run on off-the-shelf servers powered by Intel, AMD and Arm CPUs, and the startup said its software and hardware are ready to use with QLC (4bits/cell) SSDs. Lightbits' NVMe/TCP system competes with other NVMe-oF products – such as those from E8, Excelero and Pavilion – using RDMA over Ethernet and TCP. Its advantage is that it runs across standard data centre Ethernet and doesn't require the more expansive networking gear needed to run NVMe RDMA across Ethernet or InfiniBand. The suppliers could add NVMe/TCP support to their products. It also competes directly with Solarflare in the NVMe/TCP field.